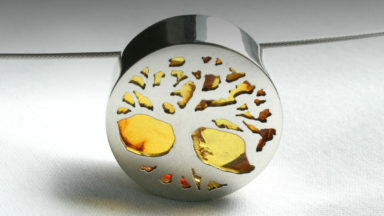 One off designs in Gold and silver Jewellery. I use traditional techniques to create contemporary jewellery that is bold, beautiful as well as original too. I created each design from start to finish myself with the customers’ wishes and ideas in mind. Work includes engagement and wedding rings to trinket boxes. Living and working in rural county Sligo gives me the space and inspiration to design my own unique jewellery. 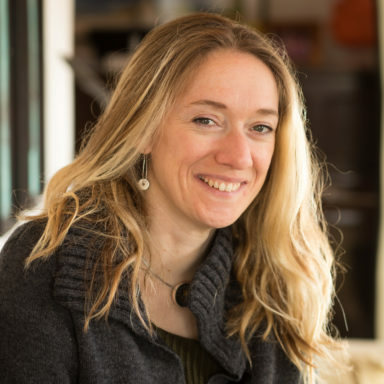 I set up my business on a very small scale around 12 years after pursuing goldsmithing as an interest before that. I never wanted to push out vast amounts of work but instead looked on each creation as a small piece of art. As I have grown my skill base my designs have taken their own paths too. The process starts with a consultation and rough ideas with the customer commissioning the jewellery, this may be inspired by an event or a place in their life or a special relationship for example. I then move onto the design stage and then get to work on making an individual piece that will reflect both my style and the wishes of the client. 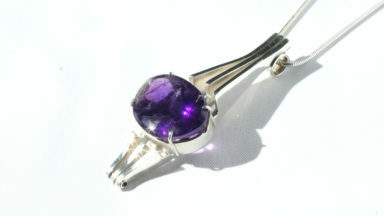 Past works have included engagement and wedding rings, pendants with specific themes and precious gem stones. Memorial pieces for a lost family member, Christening gifts such as bracelets and trinket boxes and eternity rings, necklaces and bracelets for sweet 16th and 21st among other landmark birthdays and anniversaries. 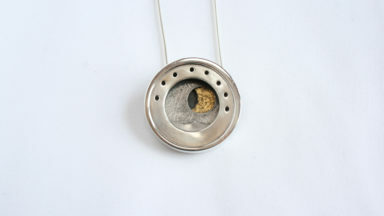 I also adjust, repair and rework old jewellery. It’s a very enjoyable part of my work to breath new life into old family treasures that would otherwise sit forgotten in a draw. In the past this has included incorporating the birthstone of a customer’s mum into her old wedding ring, making it the right size and therefore wearable for another generation. 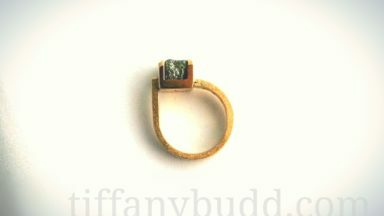 Another reworking involved taking “a no longer needed” engagement ring and turning it into 2 new diamond earrings. These jobs aways give a lot of joy and satisfaction to the owner of the jewellery as well as me the craftperson. Another area of my job is passing on my skills in the form of short courses. I run day long and weekend course from our beautiful home in the Sligo countryside. A day long silver jewellery making course starts in the morning with a chat get to know one another and to establishing what areas of skill my students would like to gain from their day. Teaching one to one means the learning is very progressive and we cover a lot in the time we have. Lunch is also included, making for a very enjoyable day. Recent commission for an 18th birthday gift.